here is our tip jar for you to support us. jhayarr23 has started a donation pool! This is Jhayarr23, also known by my OC name Crescend Cinnamon. Love our vectors, and willing to support us to continue this journey? If you saw some errors on my vectors, don't be afraid to tell me through note or comment. And I will be happy to correct or fix them. All MLP:FiM characters (main and background characters) are all belonging to Hasbro and DHX Media. Pearl Shine, the LuzViMinda Sisters and Mare-ria Clara Sisters are owned by their respective creators and the Philippine Bronies Community. Project SEAPonyCon Mascots are owned by their respective creators and brony communities in Southeast Asia. All vectored OCs in this page are owned by their respective owners. "A FAN that can BLOW YOU AWAY." As mentioned in my previous status update, I'm trying to accomplish all of the pending commissions that I currently have on queue. To all whom commission request I accepted, my "Commission Progress Board" is now moved to Trello website. Click the link below to view it and get some update regarding your commission request. Thank you for your patience. After dealing with IRL affairs over the past two weeks, I can now finally focus on accomplishing all pending commissions in queue. I heavily thank everyone for the patience and trust that you give to us. Also, I am so sorry for not responding to some of the notes that you guys sent lately, since my mind is really jumbled and stress out due to life stuff. 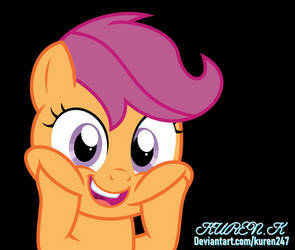 Also, Season 9 of My Little Pony: Friendship is Magic is going to air in a few hours. Hyping so much for what this final season will bring to us. Hopefully everything that is being awaited by the fandom for so long will finally be addressed here. May this one last ride be epic and memorable to everyone. Just a heads up. Starting next week until the first week of April. I will be getting busy with some IRL affairs. Because of this, commission progress will be getting a slower pace. But don't worry, they will still be done when I get the free time. We humbly ask for your patience and understanding in regards to this. Thank you everypony. Starting arranging everything up in the new DeviantArt Eclipse interface. I really like this new interface and I hope there are some improvements to the site in the coming months. I will be offline here for one day, for the observance of Ash Wednesday. All messages, emails or DMs will be read the following day.